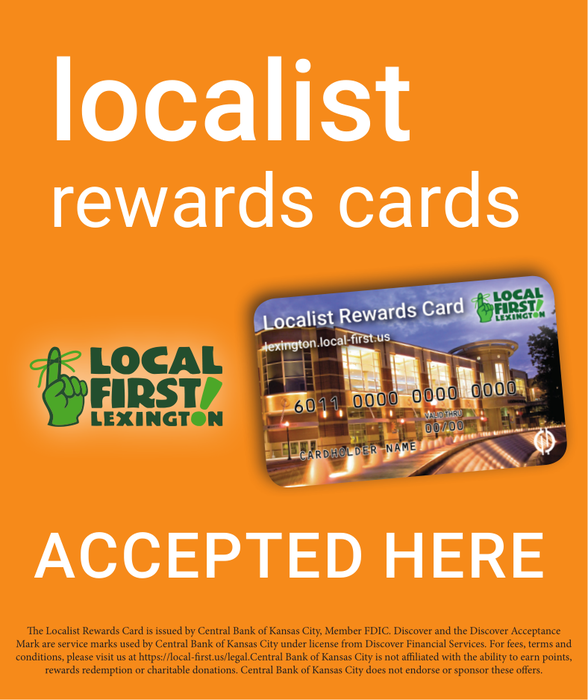 Local First Lexington is excited to announce our NEW Localist Rewards Card to reward our community shoppers who shop, eat & support local, as well as provide benefits to our local merchants. 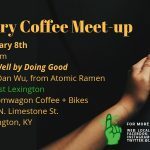 Local First Lexington is partnering with Obsidian* to bring a new, robust loyalty program to Lexington in the form of a rewards payment card. How does it work? How do you get Localists in your doors? 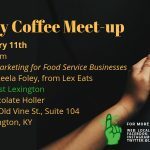 We are offering a short webinar on how the program can benefit your business and help create a more sustainable local community. The webinar will be approximately 30 minutes, with a 15-minute presentation on the program and 15 minutes for Q & A. Earn Points: Up to 1 reward point for each dollar spent. Donate: Donate to selected local charitable organizations. Get Deals: Receive access to exclusive offers from local merchants. Give Back: Recirculate more dollars back into your local economy. Local Rewards Programs: Cardholders earn up to 1 point for every dollar they spend at participating local businesses. 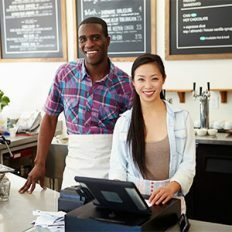 Merchants can post their very own rewards to an online Rewards Marketplace, where their customers can redeem reward points. Merchants get money back for redeemed rewards, as well as new and returning customers to their stores! Stop paying for other banks’ reward programs. 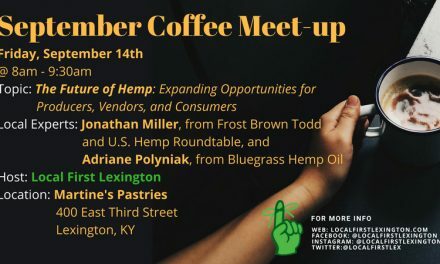 Get that money back for local businesses! Automated Loyalty: Our tiered loyalty program automatically tracks how much money cardholders spend at local merchants’ businesses. The program motivates customers to come in more often and always keep local merchants top of mind. High Quality Marketing: Automated promotions that encourage cardholders to achieve higher levels of spending. Data Collection: Reporting that tracks how many cardholders stay engaged and active in the program. Receive powerful data that shows merchants who their customers are and how they can be communicated with more effectively. Higher Income and Less Poverty: Places with lots of locally owned businesses experience higher income and employment growth. Stronger Local Economy: Local businesses recirculate more of every dollar spent in the community. 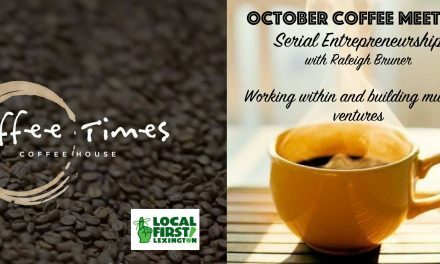 Community Character: Local businesses create character in a community and encourage residents to put down roots. 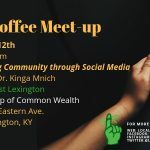 Social Capital and Well Being: More local businesses equals happier residents and higher civic engagement. RESIDENTS. 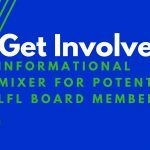 Local First Card gives residents an opportunity to make a difference: The card is easy to use and provides so many benefits for your community. 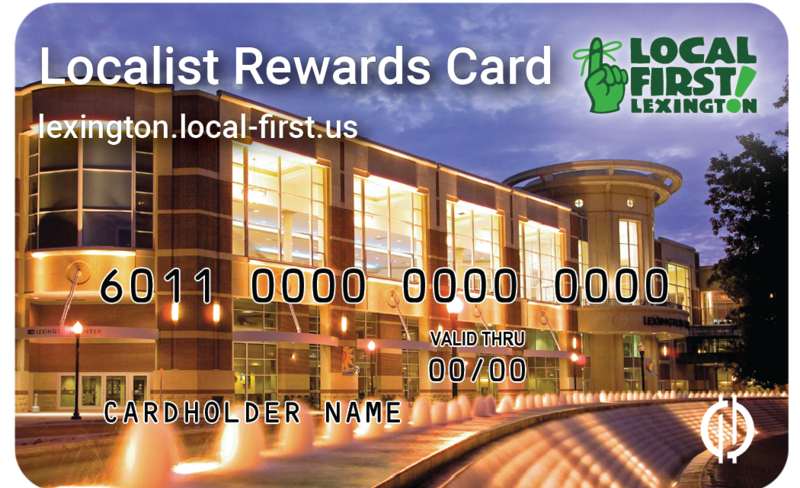 Every time residents use their Local First Card, they are rewarded for making a difference. Earn Reward Points: Earn up to 1 point for every dollar spent at participating, local businesses. Residents use points to purchase awesome rewards in the online marketplace! Donations to Charity: Residents have the option to “round up” every purchase they make at participating local businesses. The round-up amount goes to the local charity of the resident’s choice. Merchants also donate a portion of each transaction to the local charity of the resident’s choice. 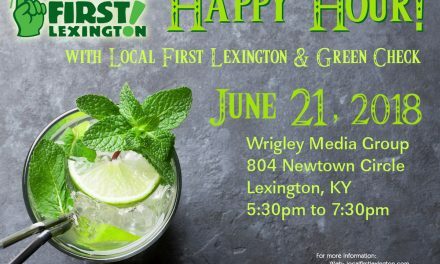 It’s easy for residents and good for local charities! Help the Community: Help residents recycle more money back into your local economy and your business alliance while ensuring that local businesses thrive in your community! Obsidian is based in beautiful Durango, Colorado. We believe that the local businesses in towns like ours are what make our country so charming and unique. 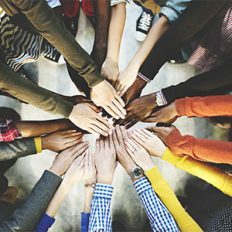 Here at Obsidian, we wanted to develop a way for the localist movement to thrive and grow in our community, as well as other communities around the country. From that dream, we created the Local First Card. Central Bank of Kansas City is not affiliated with the ability to earn points, rewards redemption or charitable donations. Central Bank of Kansas City does not endorse or sponsor these offers. Obsidian, the Obsidian logo, “obsidian card,” and “opay” are trademarks and/or registered trademarks of Obsidian, Inc. Other brand names mentioned herein are for identification purposes only and may be trademarks of their respective holder(s). All rights reserved. ©2017 Obsidian, Inc.